My love of liquid highlighters and pinky highlighters has far from ended! 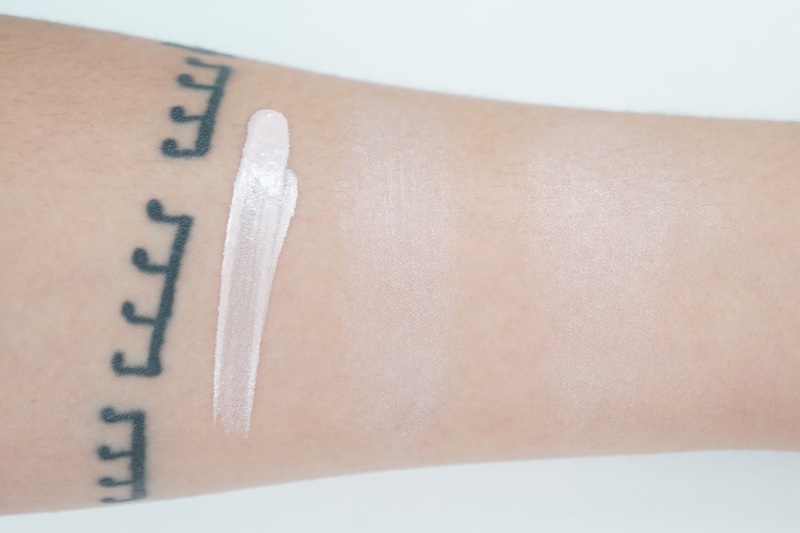 I recently got the Clio Kill Cover Pro Artist Liquid Highlighter and it's a neutral pale pink shimmery highlighter that is natural and perfect for strobing. Along with the liquid highlighter, Clio also includes a blending puff/sponge to help diffuse the product. There is 6 grams of product in each tube and I bought mine from Jolse for ~ $10. On my medium skin tone (MAC NC35, MUFE HD Foundation 127, L'oreal and Maybelline Natural Beige), the Clio highlighter works pretty well without looking too pale or chalky. It actually reminds me of a more subtle version of the Benefit High Beam and I also really like that liquid highlighter. 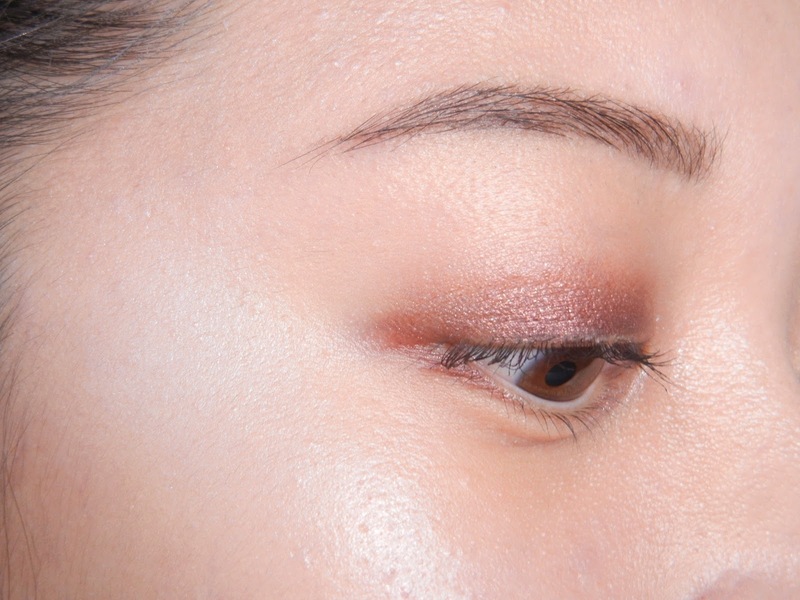 This highlighter is too subtle for my cheeks with one layer but it's perfect for other high points of my face to make them look naturally higher. The good thing is, the shimmer is so subtle that I never look like a disco ball no matter how much I layer onto my cheekbones. If you're into the strobing/nontouring look, this would be a great choice. It wasn't until these B&A pictures that I noticed how beautiful this highlighter is when the light hits it. Even with the glowy L'oreal True Match Lumi Cushion Foundation I was wearing in these pictures, the Clio Liquid Highlighter bumped up the natural dewyness even more. Even with this super close up shot of my face, you can't really see the shimmer and it just looks like a natural glow instead. It reminds me of the effect I get from the Chosungah22 Raybeam Highlighter in Pink Glow, but it doesn't have the same "glowy like freshly applied moisturizer" glow. If you have more oily skin than I do, this would be the better choice if you were in between this Clio highlighter and the Chosungah22 highlighter. For the free puff in the set, it's a dud. It's so hard and so I would much rather use my fingers to blend it out. I get the same effect anyway and so I ended up throwing it out. Final thoughts: Honestly, I was so meh about this product until the B&A photos because it was hard to see the finish when I was rushing in the mornings. I feel like the best way to describe this product is that it attracts light because the shimmer is so minimal. If you're into natural makeup or have more mature skin, this would be a great liquid highlighter choice. The shimmer is also super super fine and so it never looks overboard or metallic. How do you feel about subtle highlighters? Have you tried this product before?